Quilting in the 21st Century is an art form. 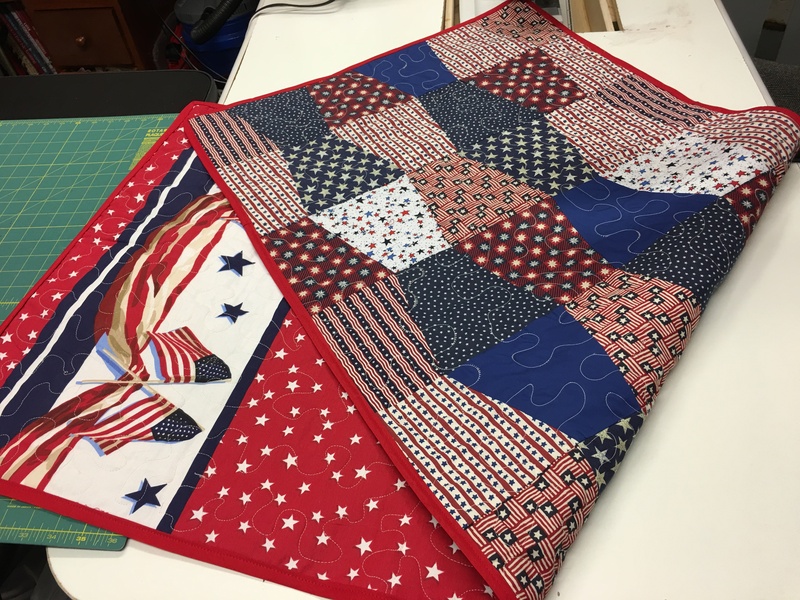 I’m fascinated by what exactly influences a person to become a quilter, and to find out from them what keeps them interested. 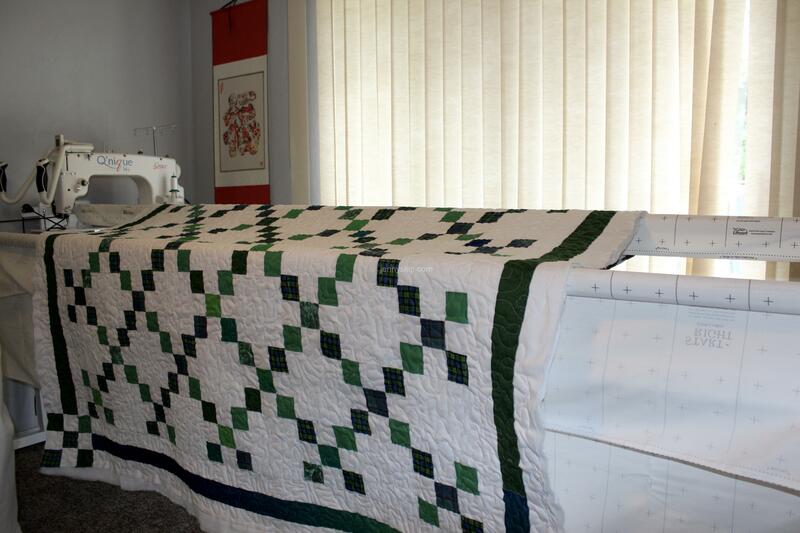 Some quilters love to enter their quilts in competitions. Others say the competitive arena turns them off. Some love to teach others. Some love to make gifts, those that document history. 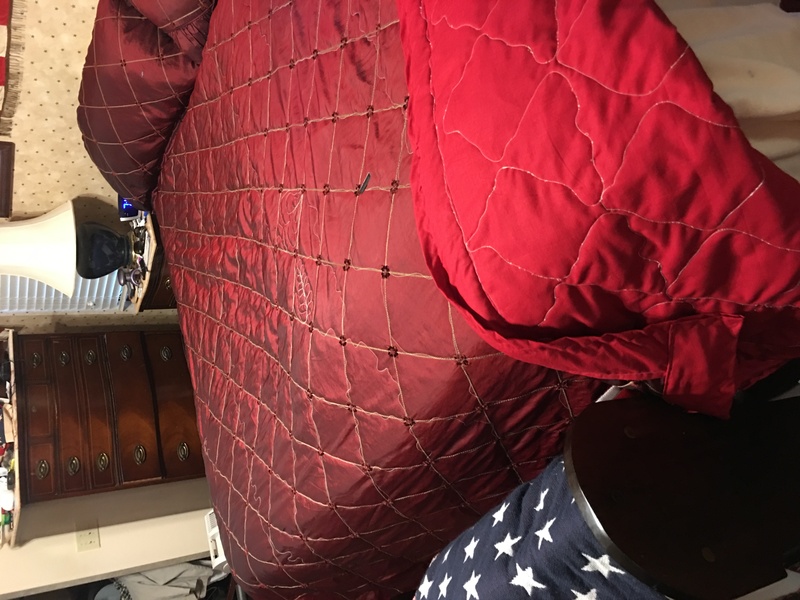 My grandmother and mother were quilters. Sometimes I think of sewing as an albatross across my neck, sometimes as a badge of honor. People have all sorts of aims and reasons for engaging in fabric manipulation. I’ve enjoyed quilting on a regular domestic sewing machine, but it does have a few draw-backs for me. 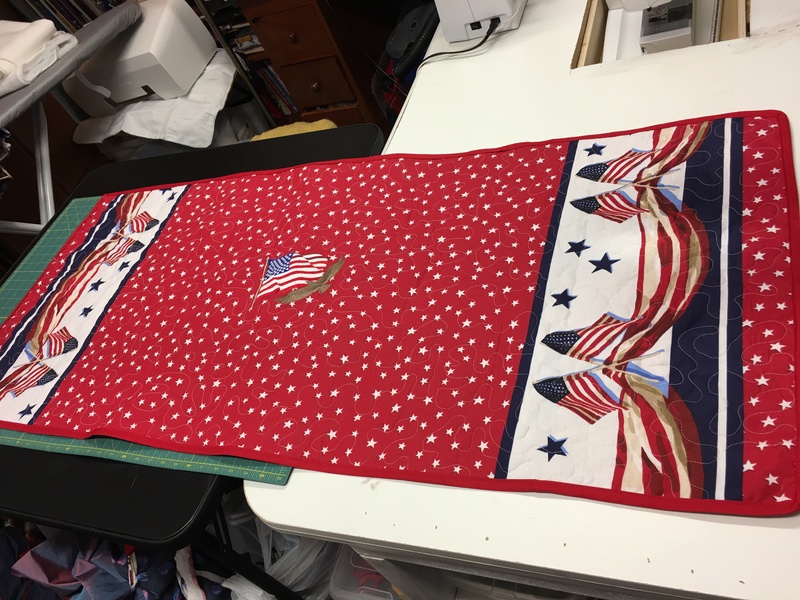 Using a long-arm sewing machine with a frame is different, and in my mind, better in some ways. 1) You can stand up while quilting. Sitting down for hours every day can be a drag, when almost everything you like to do must be done sitting down. 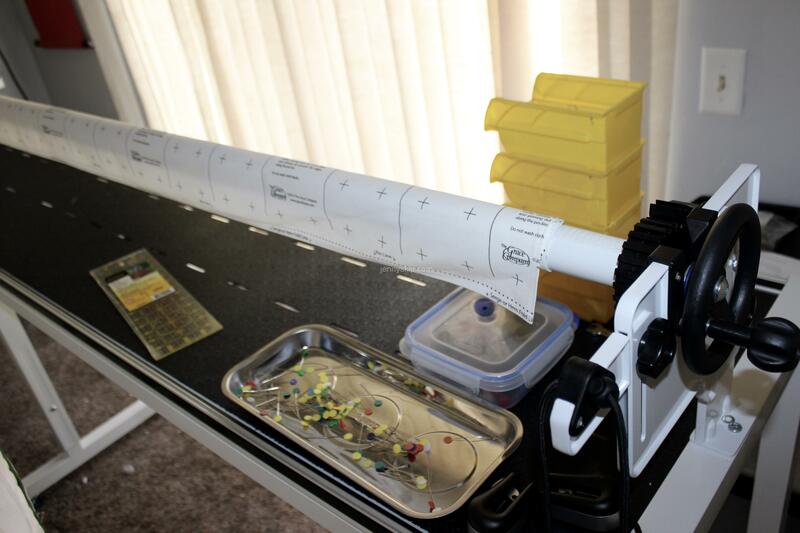 2) You don’t have to insert 200 or more pins in the quilt with the longarm. The rollers on the frame keep it together pretty well, and it has bungee clips for keeping the layers taut while they’re being quilted. 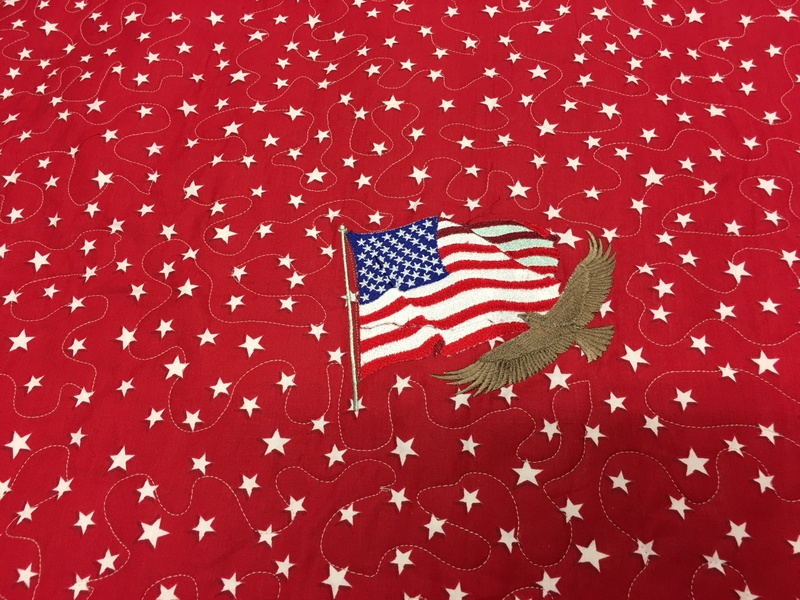 3) You don’t get as hot quilting with a longarm as you do on a sit-down machine, because the quilt is on the frame, not drifting around on your lap, and you don’t work up a sweat moving the heavy thing around under the needle. 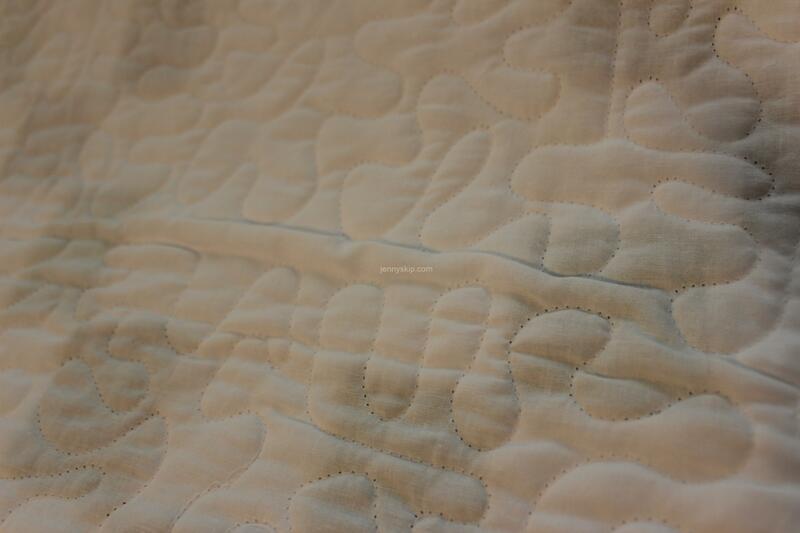 4) It looks like the quilting goes faster using a longarm. 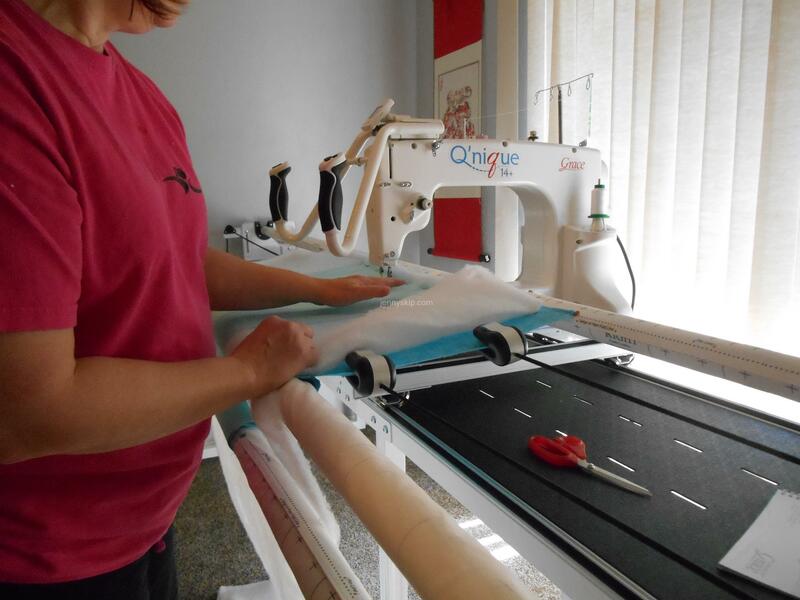 We looked at lots of brands and types of machines, and ultimately chose the Qnique because it was certainly the lowest-priced longarm, although it does come up in lots of online searches for “mid arm.” I’m understanding that the term “mid arm” usually refers to a “sit-down” type long-arm, one that you put on a table, and move the quilt around underneath the needle as if you were using a big ol’ domestic sewing machine. The Qnique is more like a petite little longarm machine. We got a good deal on it, and actually developed a rapport with the company before deciding to buy. Since there are no retail outlets in our vicinity that we could buy from, we wanted to know what sort of maintenance we might need, and who could work on the machine if it needed fixing or parts or if we couldn’t figure out how to put it together. They have lots of You-tube videos for all the various questions a customer might have. We did have to wait about a month to get it delivered, because there were lots of backorders for this machine. I’ve been doodling around on practice fabric–you know, the fabric that you don’t really like but would feel guilty throwing away because someone important gave it to you. And it needs to be solid-colored fabric, so you can see what the stitches look like. The first few things I’ve done have a few ugly bobbin-tension-challenged stitches on the underside, so I will have to nip that little problem in the bud. I must say, though, the top stitching looks pretty good. 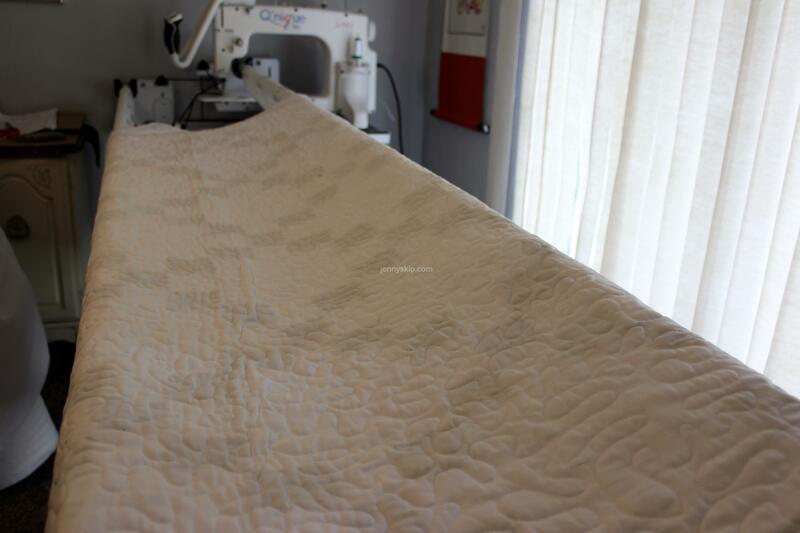 After checking around the net, I’ve been surprised to learn that most quilters do free-motion quilting on a longarm. 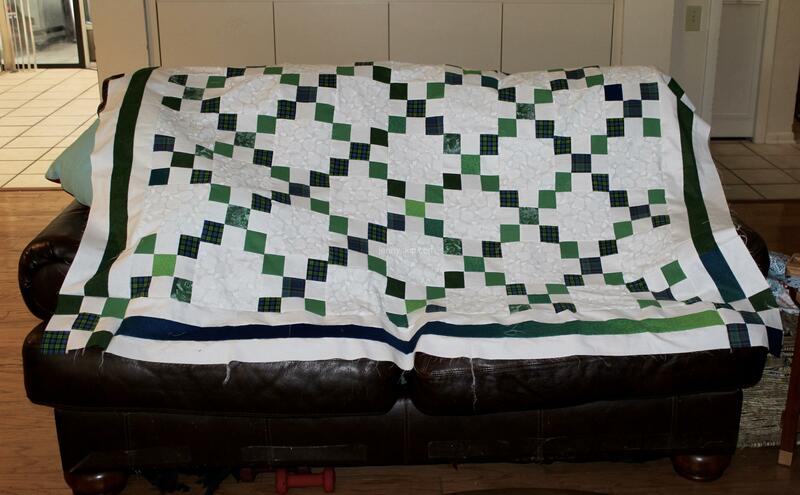 Some use templates to create geometric quilting patterns. 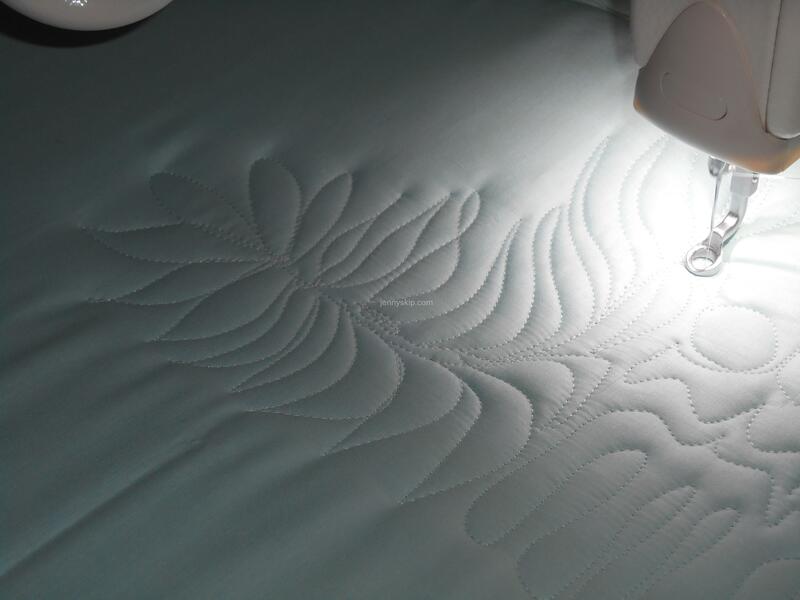 Some quilt machines use a laser stylus to trace patterns, and some are controlled by a computer, making the quilting process automated. Thus, the 21st Century has wrought technological advances to the formerly time-consuming task of making covers out of smaller pieces of cloth. 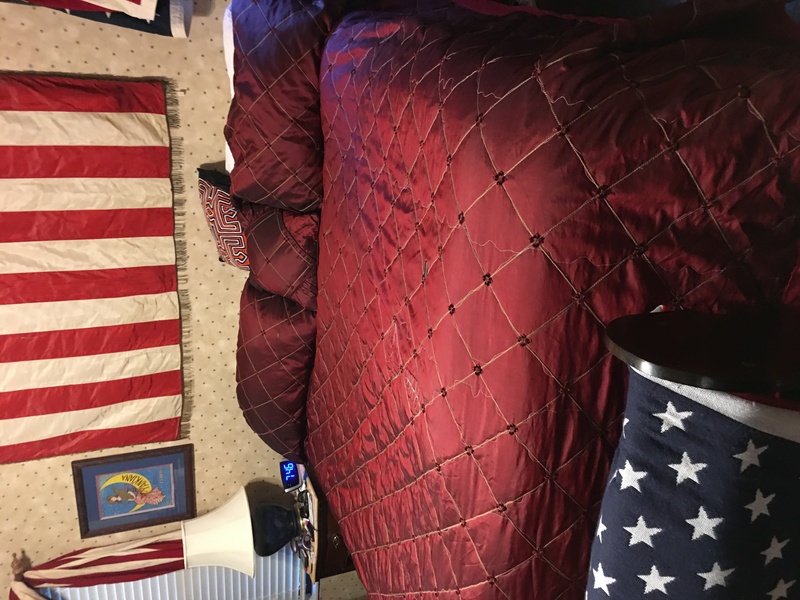 The modern quilts may not turn out more beautiful than the ones our ancestors made, but we can finish them quicker.